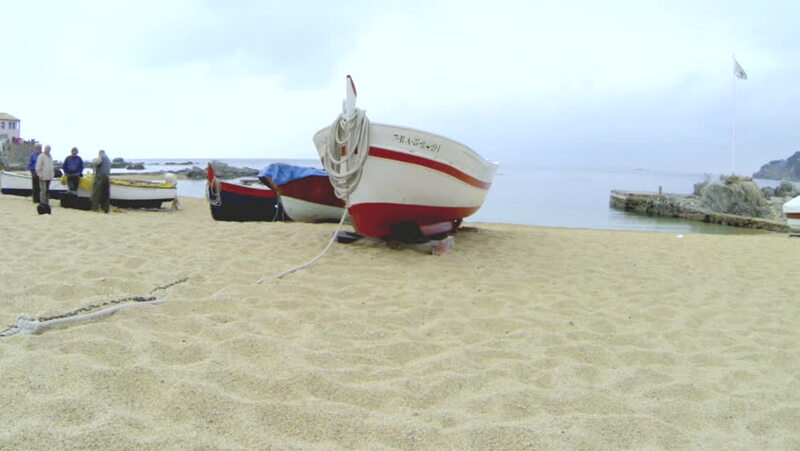 Picturesque Mediterranean fishing boats in la Costa Brava, Girona. Aerial drone shot flying over the barques near the seaside. Typical Mediterranean landscape wooden boats and pristine beaches.